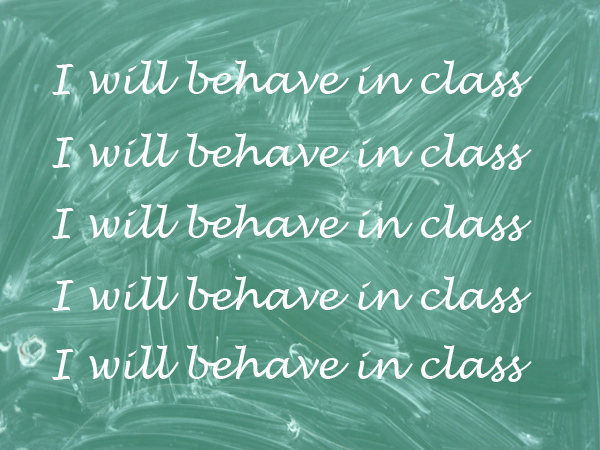 Discipline is always an issue in any classroom and education blogger Reyanah Manuel shares how she tries to make it work in her Grade 7 class. When kids enter my Grade 7 classroom at the start of the year they usually go about it in one of three ways: bright-eyed and bushy-tailed eager to tackle the year, dreading each footstep (I am apparently known at school as a strict disciplinarian) or with some serious swagger as they are now the seniors of the school and they are going to enjoy the status. And as their teacher I have to deal with all these varying attitudes. And in one classroom you have a group of kids who have also been raised differently with different values. There are those that feel that having things is what is needed to fit in and with our economic market being what it is, this is a difficult reality to maintain for many parents plus it causes problems in the classroom, often bullying. There are the “latch-key kids” as these days both parents need to work and in some cases daily television and video games have become the new role models. There are also those that do not seem to have these issues to deal with at all. In this mix, you also have children who are staunchly religious, children struggling with their sexuality, those who come from abusive homes, those who have not had breakfast and the possibility of supper is a pipe dream . . . All in one classroom, in any grade. Being Mother, Father, Guidance Counsellor, Confidant, Disciplinarian and Go-To Person has become the work of a teacher. No longer are we curriculum focused, but child focused. And it is a toughie! With the curriculum you can prepare yourself for what objectives must be reached daily. When dealing with a child, you make it up as it comes and hope that you have had a positive impact on that particular child. I need to make sure all these kids look up to me as role model. The thing is,I am 1 metre nothing tall. Put me in a crowd of my shortest learners and I still do not stand out. I have stopped wearing my school tracksuit because on more than a few occasions, I have had colleagues’ shouting at me for being in areas that are out of bounds for pupils! At the start of the year, parents often take one look at me and wonder just how I am going to teach their little darlings! But I have a strict code in my class in that when my learners walk in, they do so with a clean slate. I make it clear that all the horror stories and issues of the previous years are left at the door. It is their choice whether they want to carry around baggage or have a fresh start. And trying to maintain discipline in a Grade 7 classroom is like trying to contain a storm in a teacup. However, if you are wise enough not to fill the cup to its brim you just may have a shot at enjoying a good cup of tea! I try to do this by taking an interest in my kid’s lives and asking them about what their likes, dislikes, what they did over the weekend; their love-hate relationship with sibling; the latest games they are playing; fashion… the list is endless. I try to connect with them. In doing so, they feel recognised as individuals who have on and off days. By showing interest, it assures them that I have their best interests in mind. In practice, it is not easy of course. I shout, I dish out break detentions, take away privileges’ and call in parents when I feel their input is needed. However, when meting out punishment, it is important to explain clearly why they are being punished and that parents understand it too and follow through at home so children learn to take responsibility for actions. Redeeming the actions must always be on the forefront of any punishment and learning from their mishap are the life-long lessons which we must instill. In my experience, this approach has worked in most cases. However, I have had instances where mainly due to lack of parental involvement, learners have had to deal with issues on their own with guidance from me and various other support staff at school. And when a parent refuses to acknowledge that their child has a discipline problem this ultimately leads to power struggles within the classroom where the child refuses to be a team player. In a case like this the child was moved to another classroom. This had positive results as my classroom could then function as a unit and being in a different classroom worked for the child. Ultimately, discipline is a win-win situation for learners, teachers and parents alike. When a workable middle-ground is established, only positive results can come about. We live in a fast-paced world where children are forced to grow up and make adult decisions. It is up to us, the adults, to arm them with the needed skills to make these decisions and show that we also respect them. Reyanah Manuel is a Grade 7 teacher at a primary school in Cape Town and after trying a different field she realized teaching was in her blood.